Chatbots may be automation tools, but they are also engagement tools. They empower businesses to deliver more productive, more personalised, more frictionless experiences throughout the journey. They also help reduce costs. 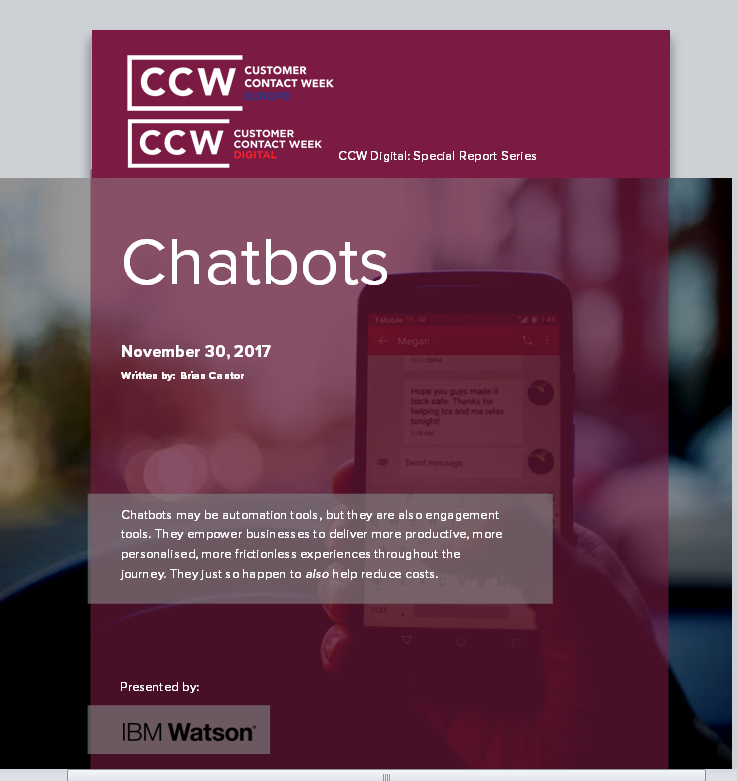 This CCW Special Report features insights, anecdotes and advice from several leading customer management executives and thought leaders on the adoption of chat bots.